Trumpet of triumph hardly convincing ! 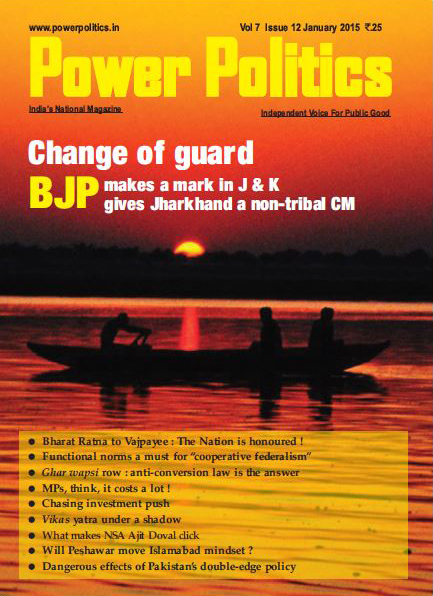 India ended permit quota raj and grandly embarked on the path of liberalization twenty-five years ago. Yet, neither the economic policy measures nor all the hoopla over the triumph of reforms can hide the hard and harsh ground realities that are visible to the naked eye, says the author, in a cost –benefit analysis of economic reforms. In the bygone year India celebrated in a muted fashion the silver jubilee of the country's economic and trade policy reforms or what is broadly hailed as the liberalization of the domestic economy from the clutches of thelicense-permit regime of the post-Independent India for more than five decades! The ruling NDA did not make a song and dance about the 25th anniversary of the liberalization of the economy for the obvious reason that the original architect was its bête noire Congress Party! But it was not the Nehru-Gandhi dynasty that did the reform, although Rajiv Gandhi as the Prime Minister succeeding his assassinated mother the formidable Indira Gandhi did make some baby steps on the reform front during his tenure between 1984-89 when he enjoyed more than absolute majority in Parliament. 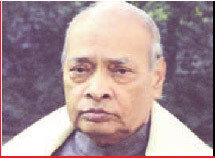 It was the silent but sagacious Narasimha Rao, who became an accidental Prime Minister in 1991, took the giant strides on the reform path backing his finance minister Dr.Manmohan Singh to the hilt in freeing the trammels of control and licences that had been the bane of the country's economic development annals. Even as India celebrated in a muted fashion the silver jubilee of its tryst with liberalization of the domestic economy from the clutches of licensepermit raj , the incontrovertible fact remains that public policies being framed for the people do not really serve them as they should under normal circumstances and efficient governance. 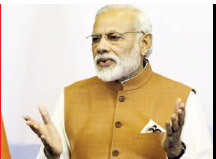 The mantra of minimum government and maximum governance with which Narendra Modi garnered a relatively comfortable victory in the 2014 General Elections has not delivered its message loud and clear to a majority of the population. Rao, heading a minority government albeit enjoying the tacit support of all Opposition Parties, including the BJP, parried off all impediments to his straight and narrow path to lift the Indian economy by forward- looking economic and trade policy reforms. 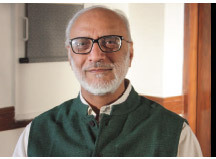 The merit of this boldest move is that succeeding governments, including the incumbent NDA, have but little option other than following the steps to bring in fresh air to the stifled economic milieu under which the stakeholders of the real sectors of the economy had been morbidly breathing. Narasimha Rao Consensus'; open trade, open capital and reliance on the private sectoressentially the same development model that has been tried and proven successful in most countries of Eastern Asia". It is altogether another unedifying but not widely bruited story that many a nation has rejected the Washington Consensus to take control of its destiny as it no longer lends credence to the conviction that 'one size fits all' model of development.Even advanced countries like the US now embrace protectionism, while Britain exited itself from the European Union (EU) by a referendum to take control of its own affairs! 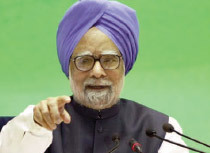 Manmohan Singh For India, which originally pursued the commanding heights of the economy with the State controland centralized planning to ensure even and balanced growth in a country of continental size and diversity, the reforms it embraced in the 1990s still did not lend any clarity to three basic and fundamental issues. They include a persistent ambivalence about property rights and the private sector, glaring deficiency in state capacity, particularly in delivering essential services and inefficient redistribution. Shiv Pratap Shukla This is notwithstanding the introduction of rights-based entitlement policies for the weaker and vulnerable sections of society, National Food Security Act and occasional bailout of corporate firms having failed in areas like steel, aviation and other vital infrastructure industries through bridge loans by banks or outright write-offs of their heavy debts. 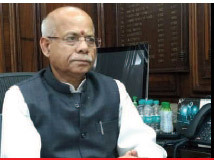 Citing RBI data, the Minister of State for Finance Shiv Pratap Shukla said in the Lok Sabha that the cumulative write-off (including compromise)of schedule commercial banks for the five- year period ending March 2016 was Rs 2,30,287 crore. In defense, the Minister conceded that writing off of nonperforming assets is "a regular exercise conducted by banks to clean up their balance sheets and achieving taxation efficiency". To boot, PSBs have written off a sum of Rs 53,625 crore in the first half of the current fiscal year (April- September) 2017-18. If China could follow economic reforms for three decades and notch up double-digit growth with the chirpy consequences reflecting in the economic and social prosperity of its billion plus people and the monumental infrastructural expansion they brought in their trains, why should a country like ours deplorably lag behind in the provision of basic amenities to millions of its citizens with physical and social infrastructure continuing to remain a work in progress in a wobbly way? Informatively, gross non-performing assets of PSBs rose from Rs 6,41,057 crore during 2016-17 to Rs 6,89,806 crore in the first half of 2017-18. No wonder, while approving India's 2017 Financial System Stability Assessment, the Executive Board of the International Monetary Fund(IMF) on December 21, 2017 in Washington cautioned that "a group of PSBs are highly vulnerable to further declines in asset quality and higher provisioning needs. Capital needs range from 0.75 per cent of GDP in the baseline to 1.5 per cent of GDP in the severe adverse scenario". It needs to be noted that the recent Finance Ministry's announcement ofRs 2.11 trillion recapitalization plans for all PSBs amounts to 1.3 per cent of GDP. In its Financial Stability Report, released at the end of 2017, the Reserve Bank of India (RBI) hoisted the red flag by noting that "the overall risks to the banking sector remained elevated due to asset quality concerns" as a macro test carried out by it signals that under the baseline scenario, gross NPAs might rise from 10.2 per cent of gross advances in September2017 to 10.8 per cent in March 2018 and further to 11.1 per cent by September2018. 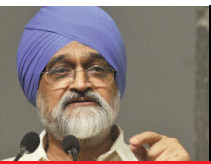 The former Deputy Chairman of the dismantled Planning Commission Montek Singh Ahluwalia, in a monograph in a leading daily, recently noted that what has been promised by way of recapitalization of PSBs would only help to fill the hole in the balance sheet of banks. He said this would not suffice to let credit expand at the rate required to underpin 8 per cent GDP growth. Incidentally, the advance estimate of GDP growth for the current fiscal by the Central Statistical Office (CSO) on January 4 turned out to be a damp squib,noting that it would slow to a four year low of 6.5 per cent from the provisional 7.1 per cent estimated for 2016-17, the third year of the Modi Sarkar. 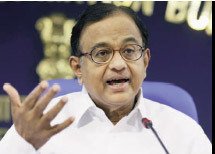 Montek Singh Ahluwalia This prompted former Finance Minister Palaniappan Chidambaram to lament in a statement that "GDP growth in 2015-16, 2016-17 and 2017-18(est.) is 8.0, 7.1 and 6.5 per cent. These numbers prove there is a slowdown". The demonetization of high value notes peremptorily announced on November 8, 2016 and the shoddy implementation of the pan-India Goods and Services Tax (GST) from July 1, 2017 were partly ascribable to the growth slowdown in the deteriorating performance of the economy during the last two years. Palaniappan Chidambaram Though obsession with growth figures does not bode good as it puts under the carpet the widening inequalities and unequal distribution mechanism to partake of the growth benefits to the greatest number of people in a democracy, the incontrovertible fact remains that public policies being framed for the people do not really serve them as they should under normal circumstances and efficient governance. Xi Jinping The mantra of minimum government and maximum governance with which Narendra Modi garnered a relatively comfortable victory in the 2014 General Elections has not delivered its message loud and clear to a majority of the population who still find eking out existence a formidable challenge. 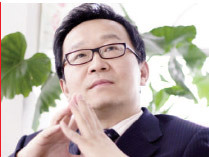 Zhang Jun In China, things are decisively changing. 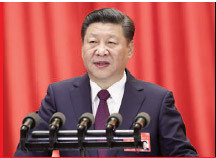 Though political liberty remains a pipedream, economic empowerment seems to be inching up when the Chinese Premier Xi Jinping, while addressing the 19th Party Congress in November 2017, declared that "because China can largely deliver basic necessities to its people, the goal now should be to improve their quality of life". As the 19th Party Congress acknowledged, honouring these commitments would require China to protect private property rights and entrepreneurship. The importance of this is highlighted, according to Prof. Zhang Jun, Director of the China Center for Economic Studies at Fudan University, Shanghai, by the fact that "the private sector contributes more than 60 per cent of China's GDP, 50 of its taxes, 70 per cent of its technological and product innovations and 80 of its jobs, despite accounting for less than 40 per cent of inputs". One crucial segment that remains utterly bypassed by economic reform in India is the farm sector where rural stress and agrarian distress have become the dominant tropes of the times. The UPA government made the first blunder of loan waivers in the first decade of this century for farmers without addressing the structural stumblingblocs to sustainable farming. The present dispensation is no wiser in sticking to this fallacious remedy. infrastructural expansion they brought in their trains, why should a country like ours deplorably and dismally lag behind in the provision of basic amenities to millions of its citizens with physical and social infrastructure continuing to remain a work in progress in a wobbly way? What all the economic and trade policy reforms had accomplished other than noticeable eyesores like scams and shenanigans– whether they relate to allocation of state resources such as coal, spectrum or building infrastructure projects through public-private partnerships (PPP) where the private parties not finding the going smooth after the completion of the project with tolls and other issues remaining unresolved or getting contentious due to political interference. The domain regulators whether in the power or telecom sector continue to be strong in theoretical underpinnings sans practical resolutions of issues because they lack the weight of power to enforce orders or failing to ensure competition by leveling the playing fields for all those who qualify to enter and exit by following the rulebooks codified in rules and regulations that are pragmatic enough to be adhered to. 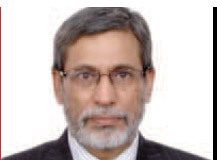 Even the Competition Commission of India (CCI) originally designed to be headed by a retired High Court Judge of India but had to be content with being headed by a retired or serving bureaucrat is not grounded in the sense that whatever penalties it slaps upon violators of competition or displaying anti-competitive behavior or acting like monopoly or oligopoly to corner the major chunk of the market are incredibly large enough to drive the players out of the field! Justice and fair play continue to be the guiding principle upon which entrepreneurs would invest or stay invested but where they find that the rules and regulations simply militate against this fundamental justice system, they would cease to take part zealously in asset building or employment- generating activities for the overall weal of the nation. Facilitators should not turn tormentors to the chagrin of those who like to continue their normal business activities with earnestness and their endeavor should not end in vain by a system that is myopic in vision and whimsical in action to thwart the best laid plans of the industry. 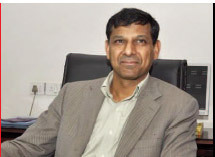 Raghuram G Rajan One crucial segment that remains utterly bypassed by the economic reform in India is the farm sector where rural stress and agrarian distress have become the dominant tropes of the times, particularly during the last few years. The UPA government made the first blunder of loan waivers in the first decade of this century for farmers without addressing the structural stumbling-blocs to sustainable farming. 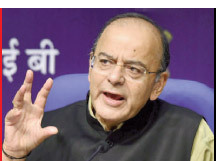 Arun Jaitley The present dispensation is no wiser in sticking to this fallacious remedy as it shakes the faith of the people in the banking system and puts paid to honor loan commitments. In fact, former RBI Governor and a distinguished economist of global repute, Dr. Raghuram G Rajan had railed against this practice by describing how it distorts credit discipline by elevating cost and making difficult any recovery of dues. Narendra Modi Even as Finance Minister Arun Jaitley told the Lok Sabha on the last day of the winter session that "no financial assistance for loan waiver has been provided to States by the Union Government during the last three years and the current year", the fact remains that this odious practice started by the UPA has been revived by the Prime Minister Narendra Modi at the height of the polls in the Uttar Pradesh in 2017, followed by BJP states like Maharashtra, Madhya Pradesh, Chhattisgarh and Rajasthan and others like Punjab and Tamil Nadu. Ashok Gulati Eminent agronomist Ashok Gulati and Siraj Hussain of ICRIER contend that in the first four years of the Modigovernment, agri-GDP is going to log an average annual growth rate of two per cent, which is well-nigh half of what was achieved during the decade-long rule of the UPA from 2004-2014. Instead of politically savvy measures like loan waivers, the time has come to wrestle with the nitty-gritty issues that impede the development of this vital food basket segment of the domestic economy. Siraj Hussain There is no dearth of suggestions to give a decisive push to the farm sector, provided there is a demonstrable political will to accord the importance this constituency deserves and demands. One recommendation made by the experts cited above relates to the need to ensure an effective monitoring and dovetailing of agri-trade and tariff policy with minimum support policy (MSP) through a sub-committee of the Union Cabinet to take a swift call. No wonder, the economic policy measures and all the hoopla over and trumpet of the triumph of reforms do not convince the hard and harsh ground realities that are visible to the naked eye if one roves around the length and breadth of this vast country. Off-on policy pertaining to farm goods trade need to be shed in the interest of long-term stability of the market and to ensure remunerative returns to growers. At the end of the day, what matters is how the policy makers and the rulers attempt to narrow down the widening gap between rural and urban consumption (spending on social sector) pattern. A clue to this is provided from the figures of National Sample Survey office (NSS Report 555: Level & Pattern of Consumer Expenditure 2011-12). Thus in 2011-12, in the crucial social spending such as education, health (institutional) and health (noninstitutional), the consumption per person for a period of 30 days for MPCE was Rs 39.84, Rs 23.15 and Rs 64.52 for rural areas, against Rs 135.73, Rs 33.13 and Rs 98.85 respectively for urban areas. These figures suggest that for both education and health (institutional) the rural and urban people the difference in spending is higher, reflecting the importance of education and health in the scheme of urban people and the relative negligent interest of rural people. The latter might be due to lack of opportunities and institutional frameworks that had abysmally been absent in the hinterland. Per contra, the high expenses being borne by both rural and urban people to non-institutional health care of accessing private doctors, the woeful absence of adequate and serviceable primary health facilities or care home (public hospitals) in both the rural and urban areas is the villain of the piece. The author is an outstanding economic expert.